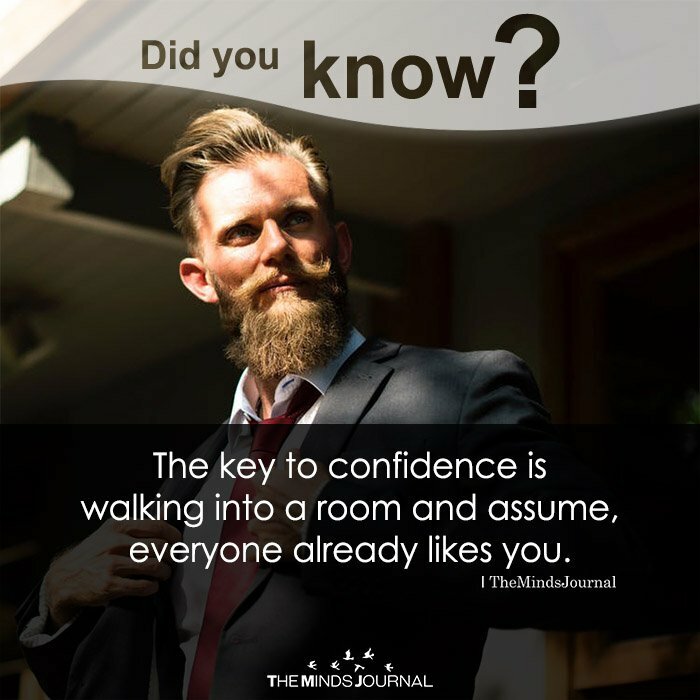 The key to confidence is walking into a room and assume that everyone already likes you. When i walk into a room, all people do is complain to me about everyone else. I don’t want to hear about it anymore. I am so beyond sick of it I can’t even explain it. CHEERS. Confidence or arrogance? Confidence is more of walking into a room and not caring what anyone thinks of you and performing optimally and humbly because of it. Aye that’s what he said . Who, the meme? Read it again.